With a 5-year warranty right on the box, it's hard to imagine a product as such that will last the mile. 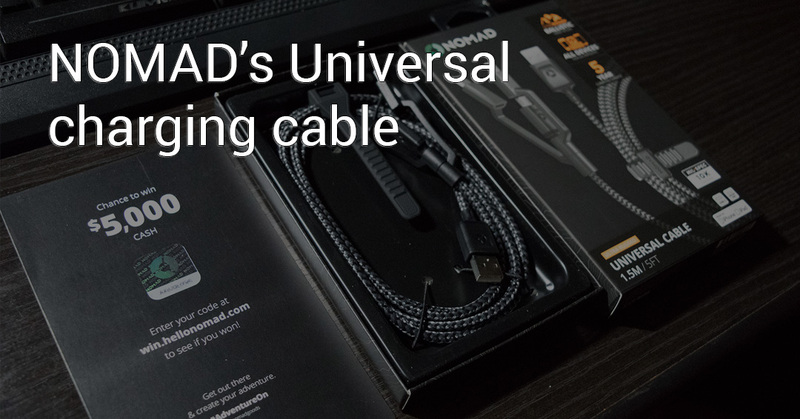 NOMAD's new Universal charging cable provides you with USB-A, Lightning and Type-C and military grade cable. Bolstering a 10K flex ratio which should be more than enough for anyone. The rugged cable doesn't look frail by any stretch, coming in at $46.36 CAD this might be a bit expensive for a few people, but this won't be enough to keep the diehard away when it comes to having long lasting cables. You also have the convenience of being able to use this cable with virtually any smartphone device. 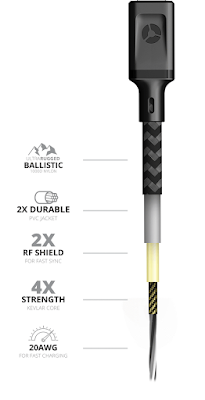 This cable is able to give you 20AWG for fast charging, it's core is made out of kevlar increasing the strength of the cable by a factor of 4. 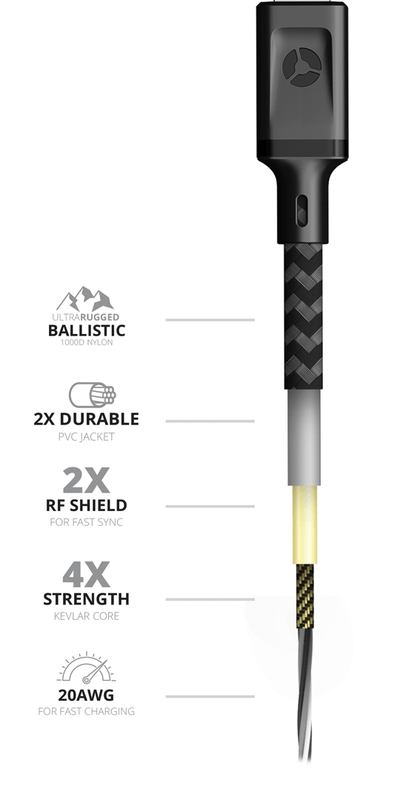 Other aspects to look at while thinking about grabbing this cable for yourself, the durable PVC jacket and the Ultra rugged nylon covering which makes the cable a MUST. I personally almost never connect my device to a desktop or a laptop for data transfer or synching, while, I see many that do so, you may want to know that it's RF shielding gives you up to 2 times more stability for your file transfer which in turns means faster transfers. I've been carrying this cable with me everywhere. I've been charging my smartphone, my tablet and my Bluetooth headset with this battery charging. The cable has been going to work, home, on the ice and passed around. After a week running around with this cable and snagging myself into a few things and ripping apart the plug from either end, I can still say it works with no hiccup. There's no bending in the cable, no kinks, charges just as it did when it came out of the package. The real test will be in a year from now and see. The versatility of this cable makes it a piece to add to anyone geek bag. We all have friends, a colleague who might be using Lightning, Type-C or Micro USB, well, in my case I had to help someone charge they're iPhone 7, can you imagine their surprise to know I would be able to provide them with some juice? To be honest, I don't have anything Apple cables of any kind. This is the only one, which so happens I had on hand. Couple that will a charger or wall plug and we were golden. 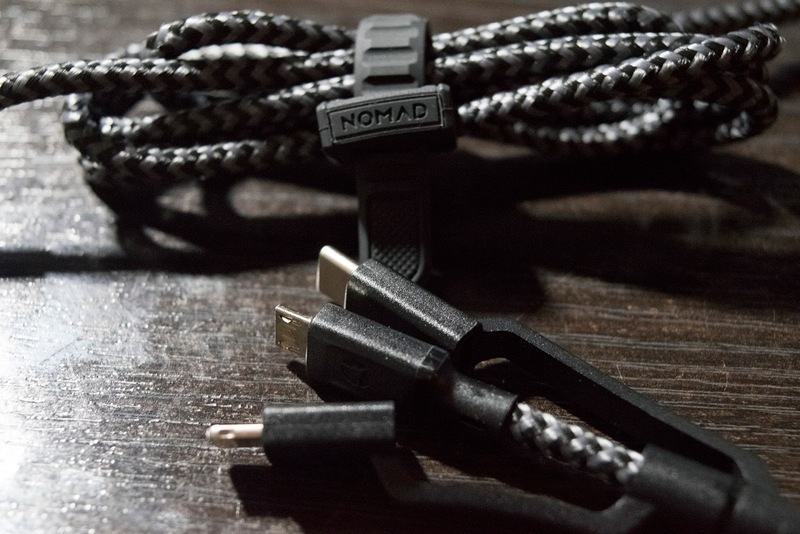 Visit NOMAD's site if you're interested in getting your hands on this exciting accessory. You can always follow me on my journey with gadgets, techs and android topics over @ www.cryovex.com.